The fabulous letterer and illustrator Jessica Hische created a monster flowchart asking the question so many artists ask: Should I would for free? It sifts through the complex emotions attached to money and takes a humorous look at the inner workings of the work/art relationship. Plus, you can order it on letter press and hang it up in your studio, so it is extra super cool. Just like Jessica. 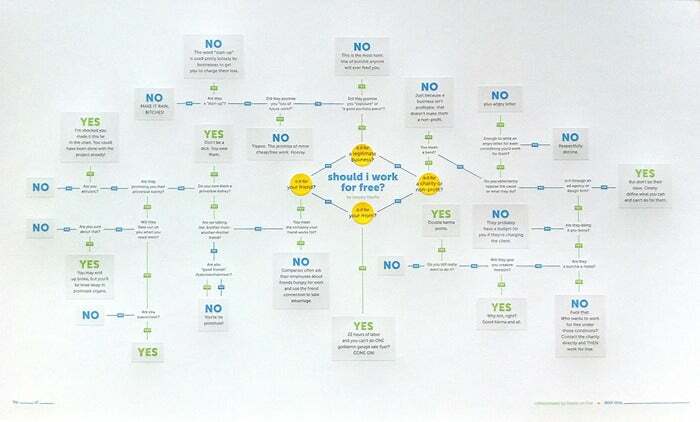 To interact with the flowchart, visit shouldiworkforfree.com. w. kamau bell is totally biased. and totally funny.